Over at The White House blog today, Jared Bernstein excitably announces: So, You Want to Boost Exports? Have I Got a Program for You! Basically, he’s got some new goodies in the oven having to do with tax credits for American exporters — stuff like that. The dollar is rising today, as China signals its in no mood to strengthen the yuan. 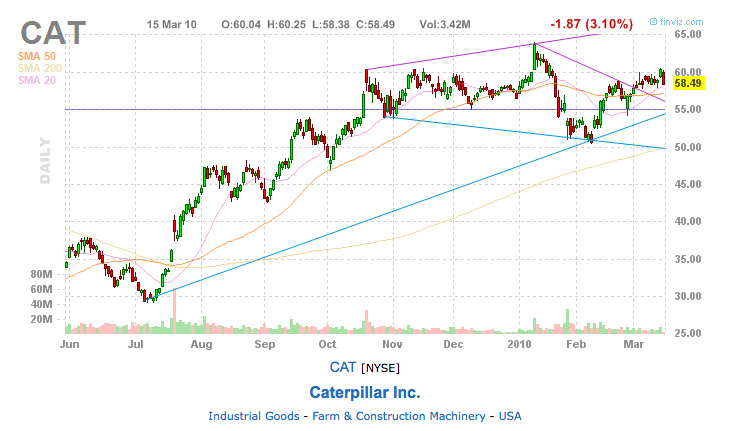 And that’s why global multinationals like Caterpillar are getting whacked.